In June 2012 Wessex Archaeology was asked to prepared a Historic Building Record for Norman Rourke Pryme on behalf of Timekeeper Ltd.
39 Charles Street is a Grade II* listed property in Westminster, London. It was constructed in the early 1750s as a high status residence. Owners include MP George Fieschi Henage, the Earls of Camperdown and Westmorland and Marquis of Anglesea. Its status declined in the mid-20th century and it was used as a base for charity work in the Second World War. After the war, it was converted into several flats but was restored to a single residence in the mid-1980s. The property retains some 18th century decorative schemes that survive largely intact, particularly in the first floor high status rooms. Listed building consent had been granted for a programme of alteration, extension and repair works at the property on the condition that archaeological recording be carried out prior to the consented works. The historic building record comprised a metric and photographic survey of targeted rooms and features affected by the consented works. Recorded features include doors and windows, cornices, dado, skirting, ceiling roses and chimneypieces. 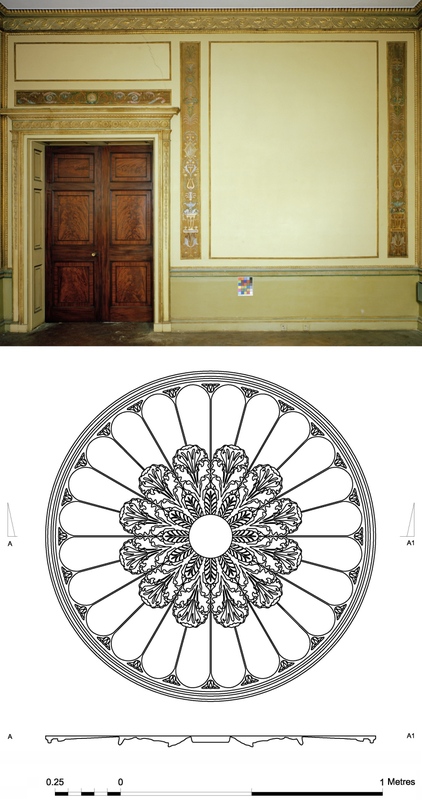 Metric survey combined laser scanning and hand measuring techniques to record selected joinery and plasterwork as well as typical door and window furnishings. 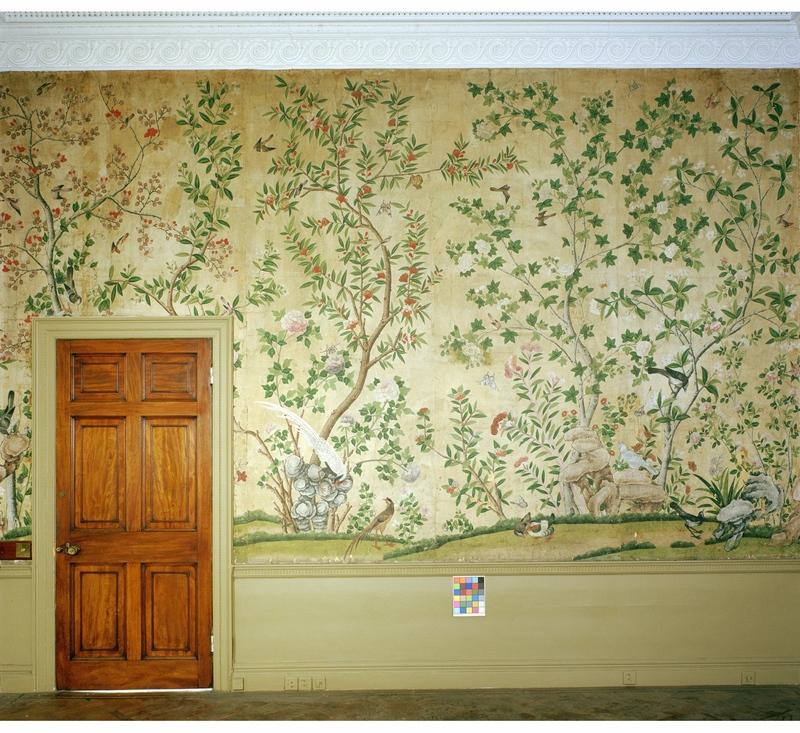 Large format photography was used to record the high status first floor decorative schemes, which included chinoiserie wallpaper and hand-painted silk wall panels. The historic building record is a comprehensive drawn and photographic in situ survey of the decorative elements scheduled for removal and conservation. The Site record and report provides a comprehensive analytical record of the property, for deposition in local and national heritage archives.